Was there a Wild Mouse at Dreamworld? With the recent news that the Wild Mouse ride at Blackpool Pleasure Beach has been demolished, an interesting point has arisen. According to the historic marker shown below, which was next to the ride, there was a similar ride at Dreamworld. 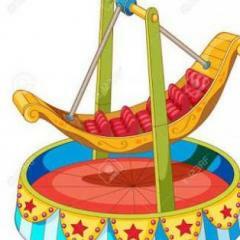 Can anyone remember such a ride? Of course! Thanks for that. I just hadn't thought of Eureka as a Wild Mouse, but it makes perfect sense now! That sign is wrong. 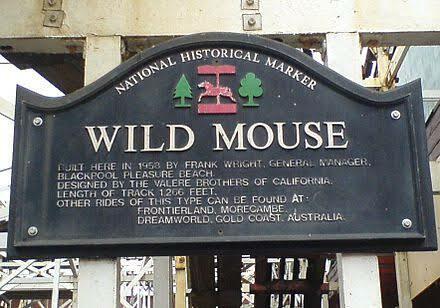 The original Eureka Mountain (as the link @Adventures With JWorld posted indicates) was a steel-tracked Schiff mouse, not a wooden mouse like Blackpool's. 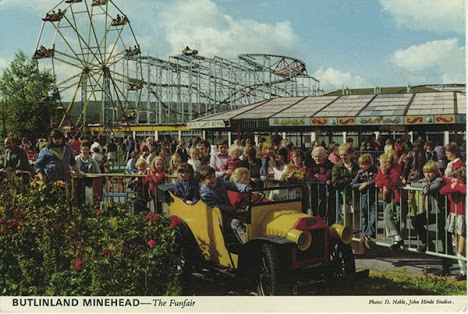 For what it's worth the Schiff design was built at several Butlins parks across the UK in the 50s and 60s, which is possibly where Dreamworld's originated.